"Lest We Forget" At the going down of the Sun and in the Morning, We Will Remember Them. 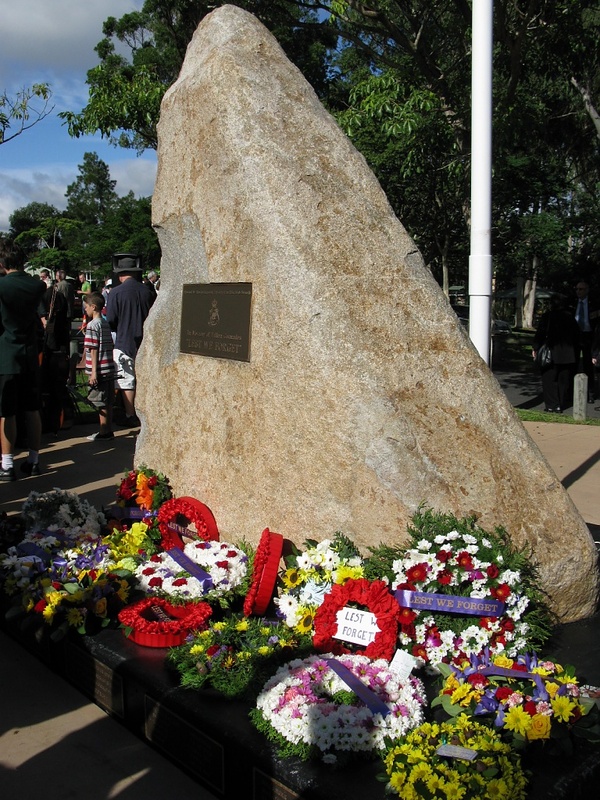 This morning 25th April, my husband, daughter & I attended the ANZAC Day service at our local park. It was a day to reflect on the sacrifices our soldiers made in all the wars, to keep our country safe and free. Nice photo of a very important day. Thank you for educating your American followers. It took a worldwide band of brothers to turn the tide. What a lovely, strong memorial with the floral decorations! Thank you for sharing this day that's so meaningful to Australians! Thanks for your comments on blog....and love your photographs above. this is fitting tribute to a special occassion. i went to my city to watch the parade and took photos of the Shrine of Remembrance, one of them was posted here yesterday. Thanks for sharing! Next year how about you and I go to the dawn service sis? Lovely shot.